Carbon monoxide (CO) is an odourless, colourless and tasteless toxic gas. Its effects can occur well before you are even aware of its presence. Carbon monoxide is dangerous to your health even at a low level of exposure. When it enters your body, CO bonds with hemoglobin. This reduces the amount of oxygen in the bloodstream, inhibiting the blood’s ability to carry oxygen to the body. 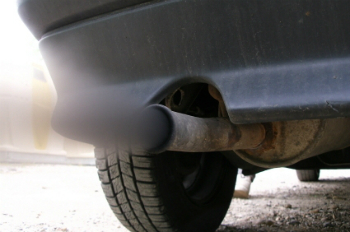 Two-thirds of all households have at least one source of carbon monoxide in their environment. Less than one-third of these households are equipped with a carbon monoxide detector. people living at high altitudes. Have your combustion appliances and ventilation in the places where they are used checked. The only way to detect the presence of carbon monoxide is to install a carbon monoxide detector. Have the condition of your chimney and your furnace ductwork checked. In wintertime, remove the snow from your car before you start your engine. Never leave your engine running inside the garage, even if the garage door is open. Mild poisoning can cause headaches, dizziness, nausea, vomiting and fatigue. More serious exposure can cause fainting, convulsions, coma and even death.